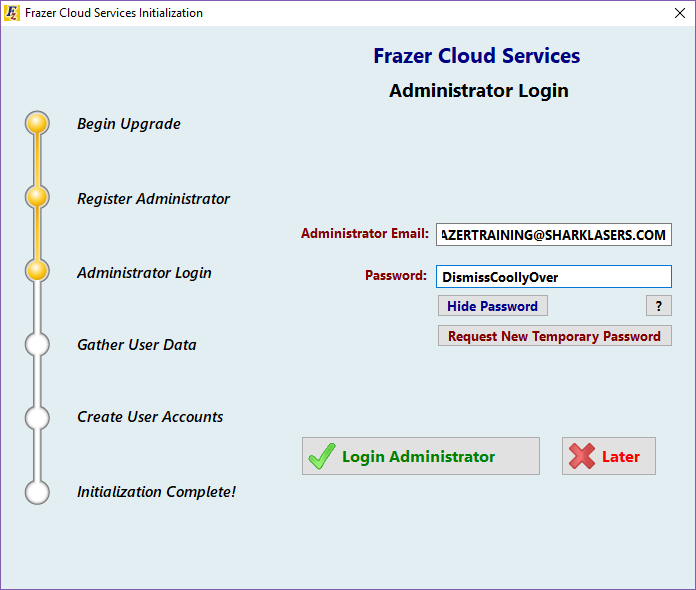 Since the Frazer Sidekick app takes advantage of exciting new cloud features, you must setup enhanced password system first. This set up is quick and easy! 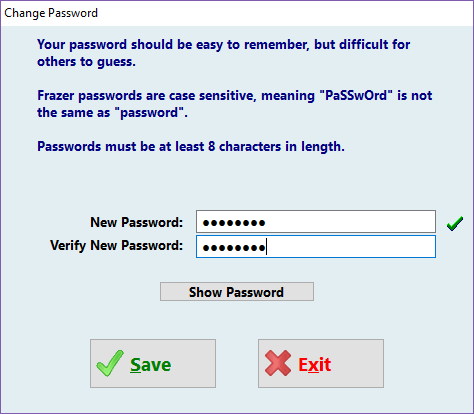 First, click Miscellaneous, then 3 - Password System. If you do see it, please have the dealership’s authorized person continue (usually, the owner or manager). Click Yes I am the administrator. 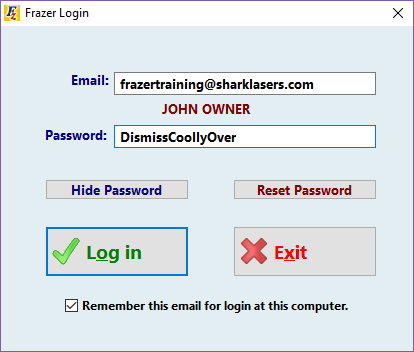 Enter the temporary password that was just e-mailed to the Administrator Email address. 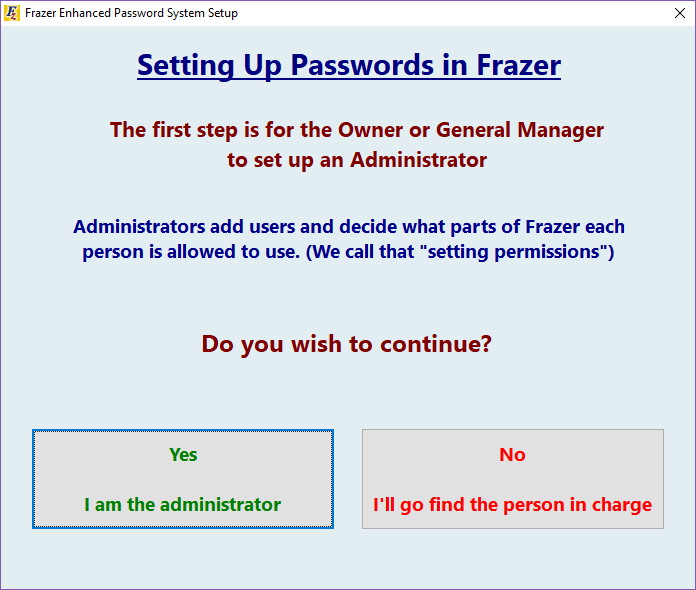 If you were previously using our legacy password system, you will be asked to migrate those user accounts into the enhanced password system. You can choose to skip the account migration altogether. be done within the enhanced password system’s settings. 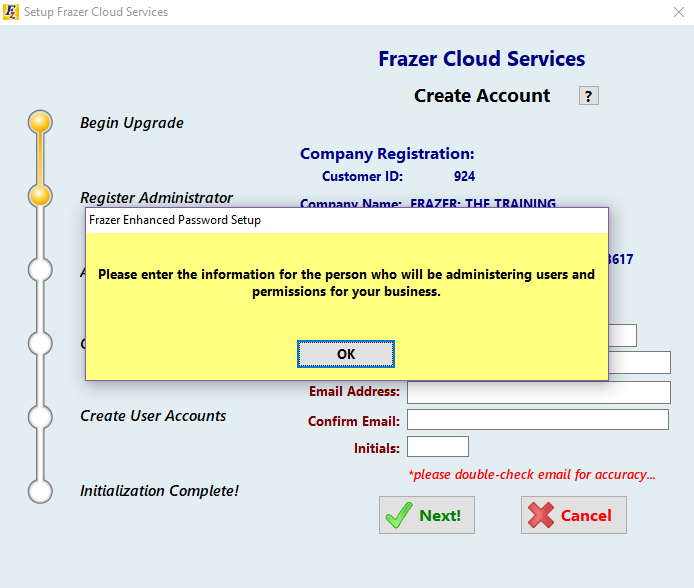 On their first time logging into the new system, all existing users will be asked for their registered e-mail address and password. 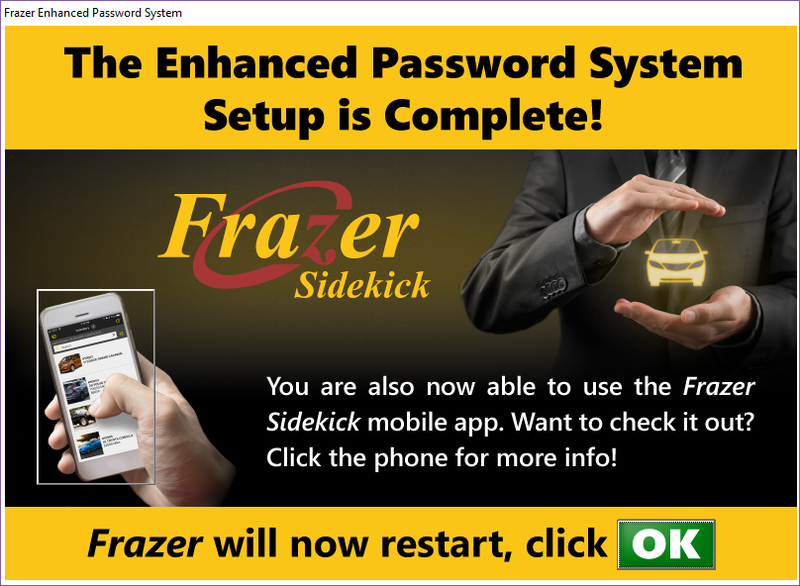 Now we’re ready to install the Frazer Sidekick app! Download the Frazer Sidekick app from your phone’s app store. Enter your registered e-mail and permanent password, then click LOGIN. 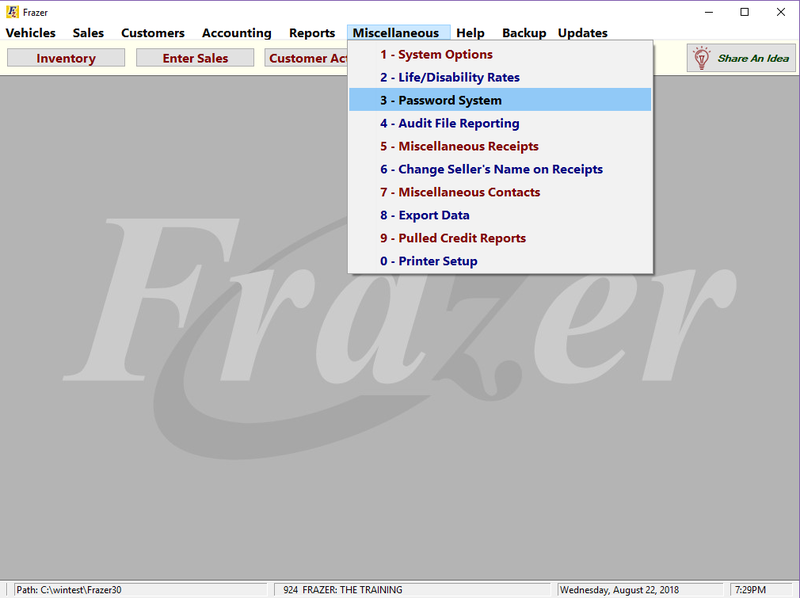 For help with using the app, please refer to our Frazer Sidekick User Guide!